Working with high level of professionalism and experience, we use our skills to achieve the best cleaning solutions and meet all our customers’ requirements. We build long term relationships with our clients not through contracts and terms, but through quality cleaning service and trust. The most important aspect of our vision is for our customers to receive high value for their money and we believe that each business should achieve that. Quality price ratio must always be in favour of quality -we never make compromises with that. Different types of stains need different ways and manner of treatment. Knowledge regarding the different types of surfaces is also an essential part of cleaning in order to avoid damage caused by improper use of unsuitable equipment. This is why we conduct regular training of our staff based on the fact that cleaning is a complex process that requires extensive knowledge and skills. Considering all stages of the cleaning process, we aim to provide high level of cleaning service at modern hygiene standards. We carry out regular training of our staff. We are constantly obtaining information about new cleaning techniques and solutions. We always value our customers' feedback. 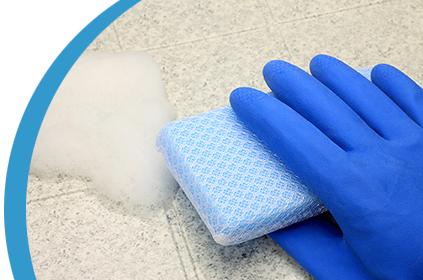 Following the correct sequence of steps in the cleaning process ensures the positive outcome of our work. Professional end of tenancy cleaning service at a very competitive price. FIND OUT MORE BOOK TODAY!